Sunday was so sunny and cool outside! It was a dream. We went to the festival to meet with friends but it was a missed connection because we got there so much earlier than they did and when we left they were participating in the games (which were really funny). 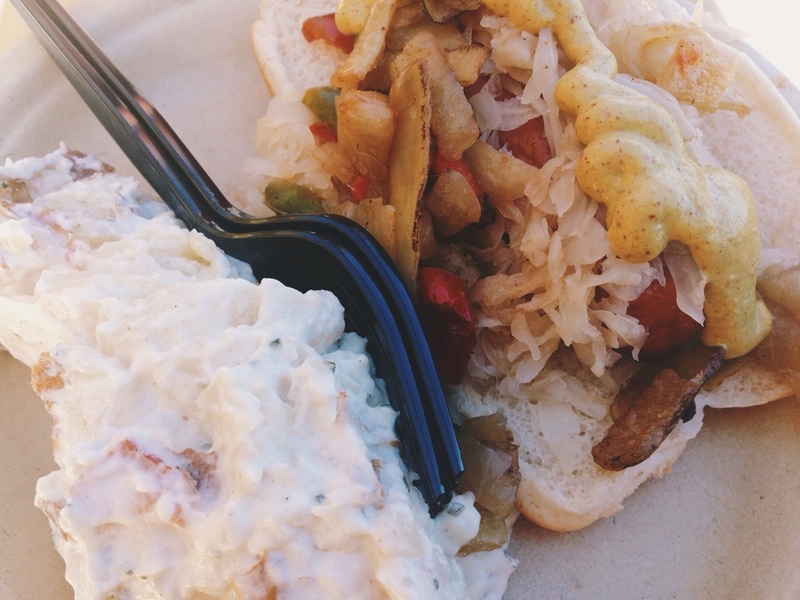 We had bratwurst, knackwurst, german potato salad, and beer. It was so nice to sit in the sun without burning up. We looked at all the dogs and people dancing to the polka in their dirndl and lederhosen. It ended up being a really nice day and I’m glad we went!